There are certain little pleasurable finds you may spot on a menu that will take you back to a fond repast gone by. Perhaps a romantic dinner for two, a taste memory from a hide-a-way holiday, or a simple luncheon shared between friends. These tiny reminders that can be sparked by the inclusion of an ingredient or dish that sets you wandering to that meal long ago. Maybe you are this way, I know I am. Recently I enjoyed a late night nosh at The Grape with a few friends and I spied just such a dish. The Crispy Arancini that chef Luscher makes with house-made bacon, fontina and scallions was the perfect send up to the appetizer. Arincini is a Sicilian offering that is made up of risotto molded into a golf ball shape and coated with bread crumb. Sometimes you may find interesting fillings such as ragu and mozzarella, but I have also seen a mushroom version as well as eggplant (which was particularly fine). The Grape’s version was extra crispy and met the table with small gasps as the shared balls were quickly gobbled. Other versions in Dallas included arincini at Nonna, which is located just off Lemmon at Lomo Alto. Their fried balls were more traditional and certainly supple. The menu changes often and are not currently offered, but speculation would bet that the chef could crank an order out if asked. 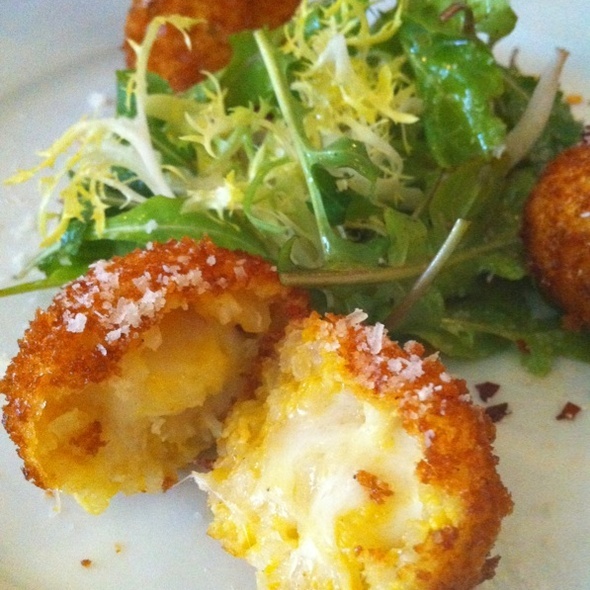 Yet another arancini is included with every lunch order placed at Craft Dallas, which is located at the W Hotel. 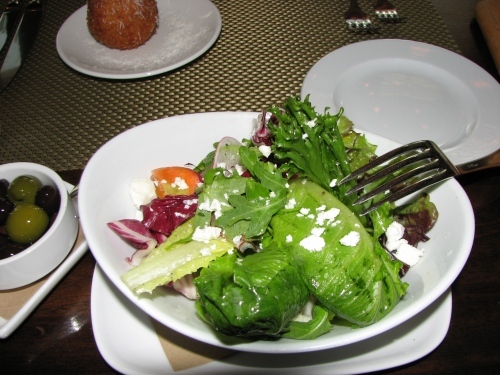 The lagniappe is delivered along with the salad that comes standard now with their mid-day offerings. 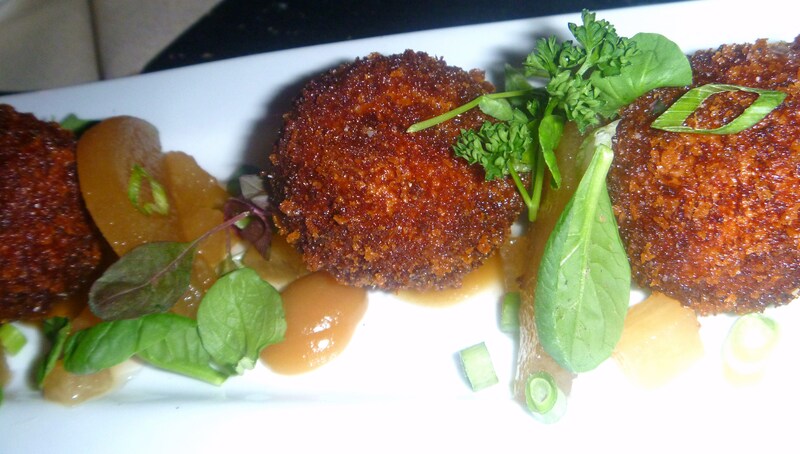 The Craft arancini is ever so light and crisp, but has a creamy risotto center. With each of these orders I am taken back momentarily to a tiny restaurant in Lucrino, Italy where I also had a religious experience with a certain pizza. Do you have a dish that reminds you of a past experience? Crab claws. They remind me of when Hubbard and I were first dating. I had never eaten them before. We were at the original Campisis and he ordered them. I thought they were the best thing in the world! That boozy Italian coffee was pretty good, too!